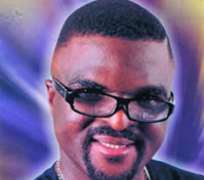 Ace fuji musician, Alhaji Abass Akande Obesere has vowed to remain faithful to his only wife and not to have an affair with another woman. According to the lewd lyric singer, women are the soul of music. “Where there is no woman, there is no life. There must be the hand of a woman in anything you do. And I do like to appreciate them to make them know they are relevant. You don't need to know everything under the skirt. But show them you appreciate them as you appreciate others. But in case they want to go to bed with you, there is a way we do it, you keep them in “timing”. And if they are stubborn, I will make them realize at the end of the day that what they want does not belong to them. On his new album, “Ologbojo”, Obesere says it is a 16-tracker consisting of “Oye Ka Dupe”, “Papa Fe Pede”, “Oun Tun Da” and “Orin Eyo” among others. It depends on the kind of song I sing or video I do. When you listen to the music you will know how its video would be. I did not tell anybody that I am changing my song pattern. Even, if I won't sing “Asakasa” again, talking about songs that will make people happy, I'm still there. I never imagined that I would be famous like this but I so much believe in music because I came from a home of music, that is music run in the family. And I know that what I'm doing is different from what everybody has been doing. I will say that there shouldn't be fight among us; we are to be one and united. I don't see any gain in fighting. KWAM 1 is my friend. We do talk especially on Fridays. There is no grudge between us. Why not? I can do collabo with him, only that I must be well paid.